Our company offers cup lock systems for structuring buildings and in the construction of industries. These cup lock systems provides solutions to new building, building extensions, roofing access, building refurbishment and others. These are an advantage over traditional methods as these are faster to erect and are highly damage resistant. Our products in this range are manufactured following the both British and European standards. 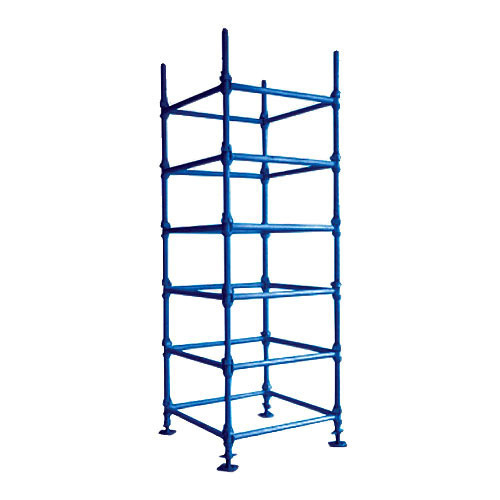 With its innovative design and construction, cup lock scaffolding system can fasten three to five horizontal pipes together at a time making a very rigid connection. 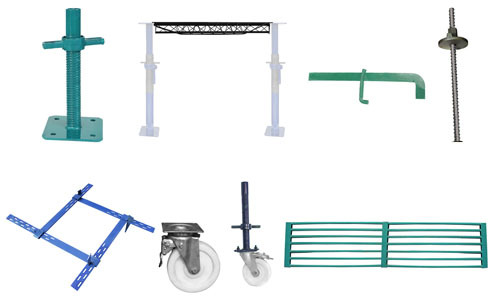 We are offering an impeccable gamut of Scaffolding Accessories to our clients. Furthermore, in this range we offering Prop Sleeve, Prop Nut, G-Pin, Base Plate, U-Head. 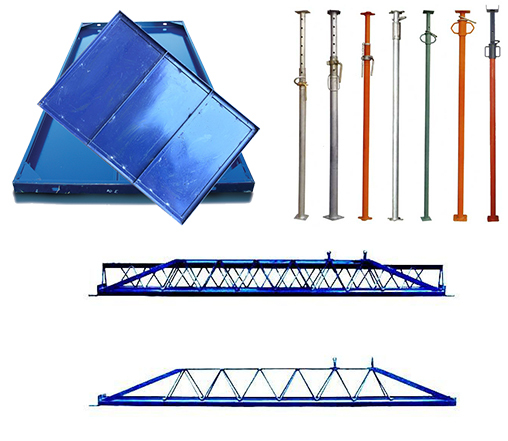 These aforesaid products are fabricated by making use of supreme quality required basic material procured from the accredited vendors of the industry. The offered Centering Material is manufactured using quality tested raw material and innovative technology under the stern vigilance of experienced professionals. Owing to its durability and robustness, this material is highly acclaimed by our precious clients. Our products are available in a wide variety and can also be customized to customers’specific require ments. You can be assured to find everything you need, all under one roof.We are eager to know your requirements so that we can give you the best offer andwork together towards mutual growth.